Top Spin 2019 week one is done and dusted and we have been blown away by the number and variety of entries rolling in! Our judges are busily assessing the entries and our week one winners will be announced this Wednesday 17 April. With four more weeks of competition, make sure you start submitting your entries for more chances to win $1K! You can enter as many times as you like. When thinking about your entry, think about how has alcohol advertising affected your life. 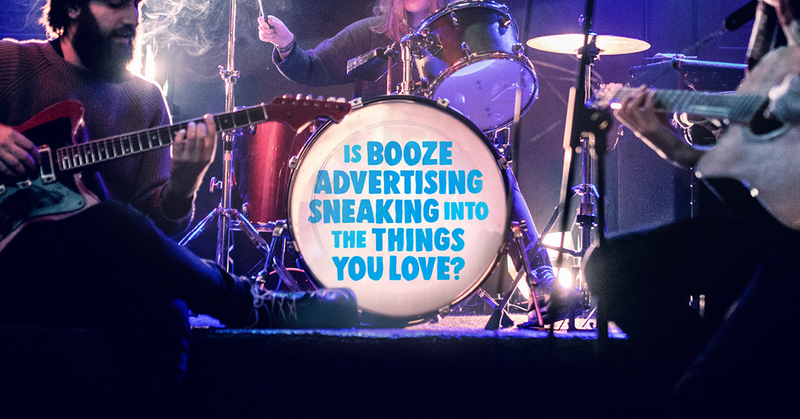 Have you ever felt uncomfortable with alcohol companies sponsoring your favourite sporting events or music festivals? We want you to take those attitudes towards the alcohol industry and use them to creatively inspire your entry. Top Tip: don’t frame your entry around the individual’s responsibility, instead we are looking for entries that show a tactic used by the alcohol industry to try and make more people drink. Checkout the Facts page for some inspo!